I’m Patches! I’m the perfect little 7-year-old companion for someone looking for a quiet friend to cuddle up with. 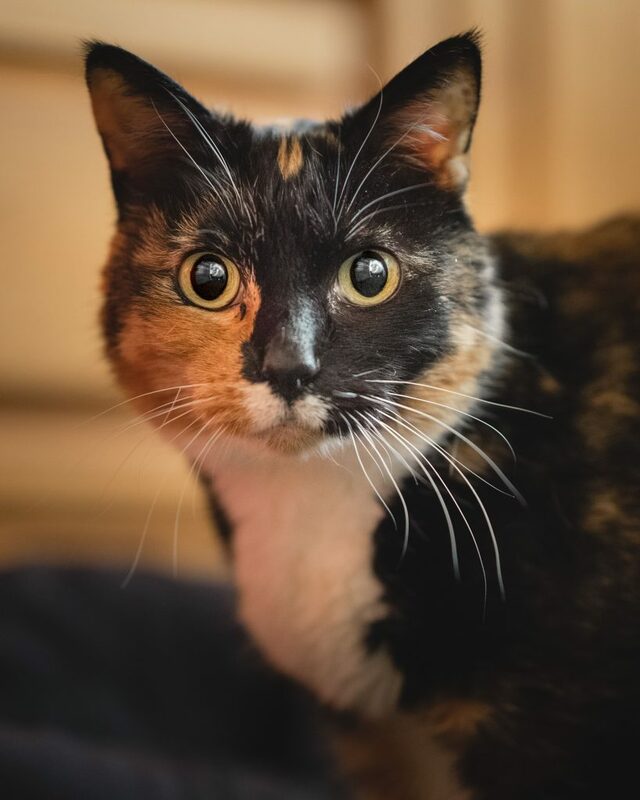 I’m an incredibly sweet and mellow girl that loves a good lap — I’ll gladly curl up while you’re at your desk working on your computer or watching TV on the couch to warm your legs with my petite little body. I like to sleep with my foster mom each night, and will instantly purr when petted. At 7 years old, I’m still pretty playful and I like to bat around my toy mice, even playing by myself if no one is around to move them about for me — I’m easily entertained! I did live with another kitty before and am very relaxed about it, however I certainly don’t mind being your one-and-only feline friend. I’m very used to being entirely indoors and am perfectly happy just peeking out the windows at the outside world, which is good because I am FIV+, which just means that I should stay inside. I’m very healthy overall, and Pixie has already provided me with a dental so I don’t have any current health concerns. Being FIV+ just means that I have an immune deficiency, and there aren’t any medications or anything that I need, just regular vet care like any senior kitty. You can read more about Feline Immunodeficiency Virus here: http://www.vet.cornell.edu/fhc/Health_Information/brochure_fiv.cfm. 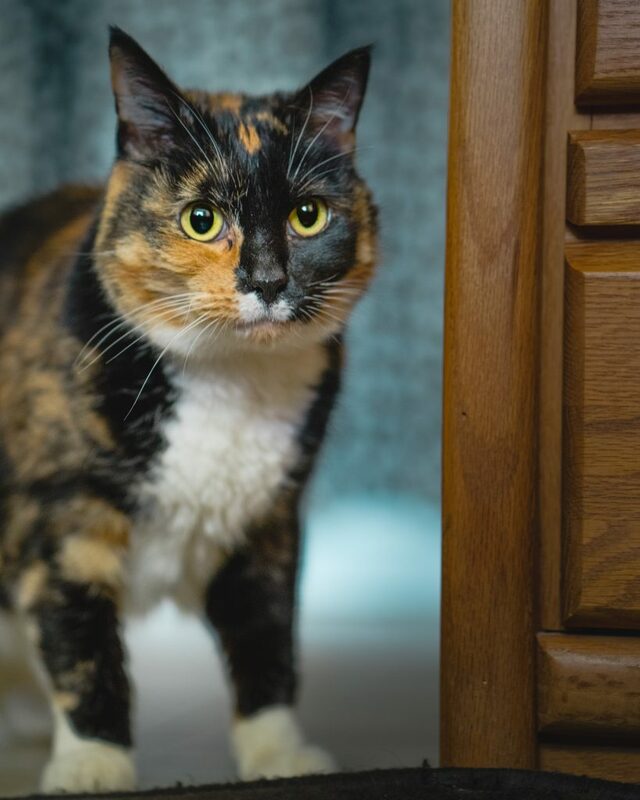 I’m a wonderful, easy-breezy kitty that will make one lucky person a wonderful companion! Won’t you come get acquainted with me soon? I’m currently in a foster home, so fill out an application to meet me today! I come to you fixed, vaccinated, micro-chipped, and with a recent dental already done for an adoption fee of $100.